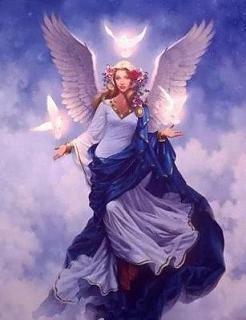 By working with our Guides and our Angels we can feel protected and guided all the time. We all have Guardian Angels that protect us and care for us. When we are open to listen to their messages, every aspect of our lives improves and balance. This course allows to wake up our intuition in a safe and creative way, and learn to help others to develop their intuition.. It also teaches how to work therapeutically with others through their Guides and Angels. Is intended for anyone who wants to grow spiritually and increase their intuitive talents. It is also suitable for any therapist or teacher of Reiki, Yoga, etc.., that want to enhance their therapeutic skills. At the end of the course attendees will be able to connect with their Spiritual Guides, cut energy cords, do Angel Readings. Also it will help to work their fears and blocks and increase their sense of security and confidence in themselves. The more you write letters, the more you will receive mails. 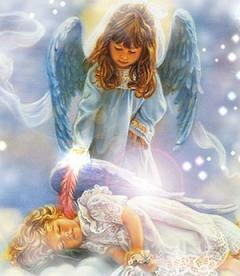 If you want to hear from Angels more often, speak with them more frequently.